A Branford attorney has uncovered a legal and legislative technicality that he says has rendered the state’s new gun law null and void. 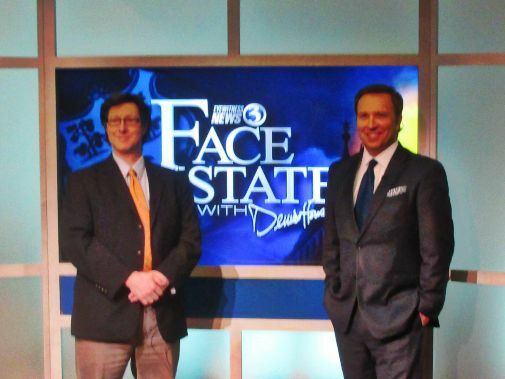 In an exclusive interview set to air Sunday on “Face the State with Dennis House” on WFSB-TV, Peter Sachs says state lawmakers made a key mistake in their rush to get a bill passed, that he claims will leave them no legal choice but to begin the whole process over again. Sachs also works as a private investigator and generally remains behind the scenes, until now. He is well known to government authorities for his work in helping track down fugitive killer Adam Zachs in Mexico, who was captured in 2011 after 20 years on the run. Relying on a stack of documents, Sachs told me when leadership in the general assembly brought the measure to lawmakers they did so by emergency certification, which is meant to speed up the process to pass a bill when an emergency calls for it. According to Sachs, state statute requires the speaker of the house and senate president to provide the facts in writing as to why an emergency certification is needed, something Sachs says Brendan Sharkey and Donald Williams never did. “I believe what they (lawmakers) are going to have to do is start from scratch…the law was not valid. In my opinion the governor basically signed a blank piece of paper,” Sachs said. Sachs also said this could impact other laws, too. Some lawmakers we spoke to today after the taping, said they want to wait until the Sachs interview airs on Sunday. 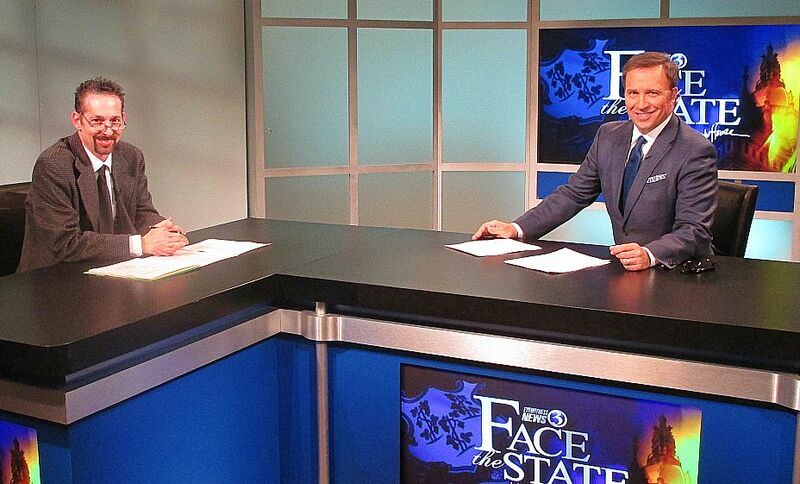 You can watch the entire interview this Sunday morning at 11 on Face the State only on Channel 3. Also joining us this Sunday is Hartford Courant business columnist Dan Haar, who talks about the future of the state’s gun industry in the age of this new law. There is zero chance this law is overturned on those grounds. Zero. McKeen is correct. The legislature is the judge of whether its rules have been complied with, not the courts. Even if this violated a legislative procedure, the court will say the legislature implicitly suspended the procedure for this vote. A prior legislature cannot bind a future one and in the case of a conflict the later act prevails. Rules, maybe, but this is a State Statute that they broke. They can’t just ignore a law that is on the books, and by law this must be done to use E-cert, and they didn’t. Does not matter that there is a procedural statute. It would only matter if it was in the constitution. The legislature that passed the earlier law has no greater standing than the one that passed the gun reform. The later act prevails. This is settled law from way back. No, the courts can decide if necessary, They are part of the checks and balances that Malloy lectured me on at one of his one way town hall meetings. and no, there was no emergency. I know from doing a little digging in past LCO writings about E-CERT that they need to have fiscal notes attached to an E-Cert bill .. I don’t think any dollar cost was attached to this bill and implementation is going to cost millions. These legislators don’t care. They will see to it that it sticks regardless of any law. They have an agenda to fulfill at all cost even on the blood of those in Newtown. They just needed a reason to push forward. Two of CT’s reps are campaigning for funds for their re-election already using Newtown as their background. How sick. Who are these two reps? Blumenthal and Murphy, who by the way wanted Fox not to broadcast the NRA 500 race from Texas. This law is insignificant. If a citizen wants to follow a law, then let him. If I citizen does not want to obey a law, he should consider a career in politics. What we really need is a new Legislature and Governor. See you at the polls in 2014. Well said! But it ain’t gonna happen in this socialism driven state. Sorry John! Have you looked into your guest’s attorney? Was excited until I read what he has. I’m no lawyer, but I don’t see that technicality overturning this dopey law. I love the fact that the law makers make the laws, and then turn around and break others shouldn’t these people lead by example! Sounds to me like these criminals just doing what they do best, LIE CHEAT AND STEAL . Manchin stated on Face the State that “ANY GUN REGISTRATION IS ILLEGAL”. I guess CT does not follow any constitutional laws at all…. These criminals will have their day. This seems like a knee jerk response to a horrifying incident known as Newtown. Too bad our elected officials didn’t get it 100% right. It’s okay, they are human…..Let’s get to the root of the problem, however, and spend some time and money looking at how we can help people with mental health issues before they hurt themselves and others in the future. lancer1963 is correct. Under the State Constitution (1) there is in effect a new House and Senate every two years; and (2) each new House and Senate determines its respective procedures for the two years it exists. The statute on e-certs was enacted by a prior House and Senate; and the current House and Senate is not bound by it if it conflicts with current procedures. If the current House and Senate enacted a statute governing its procedures, that statute would affect only the current House and Senate and not a future House and Senate. Every two years the House and Senate adopts rules governing its procedures; those are typically what controls. If anyone brought this matter to court, he or she would lose on two grounds: (a) as described above; and (b) as a matter of separation of powers, the courts would not interfere with the procedures of the state legislature. I was truly alarmed that Dennis House, whom I like and respect, made the horrible decision to turn nine minutes of “Face the State” over to a nut who is on a par with Obama birthers, 9/11 truthers, and holocaust deniers and was apparently taken in by him throwing nothing but softball questions. As many others have commented, the legal opinion Peter Sachs expressed is completely absurd. Under the doctrine of separation of powers emergency certification is what is called a nonjusticiable political question that can not be addressed by the courts. The only time and place it could have been raised would have been as a point of order in either the house or the senate when the bill was being considered, but a point of order would have failed because there are clear precedents in both houses. What is even more alarming and actually disgusting is that House let Sachs get away with claiming that there are no facts that would justify an emergency certification. The 26 deaths in a Connecticut elementary school have been the biggest news story of the passed four months not only in Connecticut but in the entire country. The President and Senate of the United States are pursuing legislation to address that fact in an expedited manner. This has never been legislation where emergency consideration was better justified. In addition, while the regular Connecticut legislative process was bypassed, the ad hoc process that was used to develop the legislation resulted in more hearings, involving more members of the legislature and more citizens than would have been the case had the regular process been followed. At the very least House should have invited a sane legal expert to appear in the segment to inform the people of Connecticut of the truth. For that matter if there are any lawyers on staff at Channel 3, even corporate lawyers, had they been consulted, they would have let House know that this story was worth about 10 seconds of time, if that. Best laugh I have had all day. Sachs will get nowhere with his claim and that is clear enough but only an expert at redefining words could with a straight face state that a situation clearly over and completed is an emergency. Nice job. A career is double speak for you. Other people did notice this. I emailed the leadership asking what grounds there was for this to qualify as emergency certification. I Emailed 4 times. I got answer after it passed from Sharky saying we decided it was Jan 15th. No actual reason. I received your e-mail requesting a public hearing on the emergency certified legislation on gun control. When the Bipartisan Task Force on Gun Violence Prevention and Children’s Safety was created on January 15, 2013, we clearly stated that the bill would be introduced via the emergency certification process. The task force conducted five public hearings on the issues during their deliberations, and the final bill was based on the cumulative information gathered at the hearings. No additional subject matter was included in S.B. 1160, “An Act Concerning Gun Violence Prevention and Children’s Safety”. Keep this in mind a cop who is also an attorney told me that any state of emergency ended when the crime scenes were secured and they knew there no other active shooters. I emailed the leadership asking what grounds there was for this to qualify as emergency certification. I Emailed 4 times. I got answer after it passed from Sharky saying we decided it was Jan 15th. No actual reason. The abuse of ecert needs to come to an end. We are pursuing legal action in Connecticut against the new CT gun control act which was signed into law by Governor Malloy on April 4th, 2013. We publicaly announced our legal action on April 11, 2013. Disabled Americans for Firearms Rights stands firm in the fact that by limiting and making illegal the cosmetic and adjustable options that allow persons with disabilities to be able to exercise their Second Amendment and Connecticut Constitutional rights is unjust and extremely discriminatory. This is by far the most overlooked and compelling arguments against this extremely discriminatory and hindering law. We have obtained a great legal team and are about to fight this in court. We are now interviewing expert witnesses from the medical community, firearms industry, civil rights organizations as well as other responsible disabled firearms owners. If you are not a member of Disabled Americans for Firearms Rights please visit http://www.DAFR.org and join right now! You can also get tons of information and fact sheets as well as downloading a copy of the law suit in Connecticut. We are in need of donations and contributions to our Connecticut legal fund to fight this unjust law in court. Please consider donating as this effects EVERY CT firearm owner NOT just the disabled. If in 5 years you develop severe arthritis or any other debilitating disorder you would have wished you fought harder for your rights! We have also been contacted by other organizations in other states that have severe gun control laws in effect. It is quite possible that what we do here will have a major impact in gun control laws all around the country. Visit http://www.DAFR.org join for free and make a contribution NOW. We are doing out part. It is now time to do your part in this fight! We urge you to donate and contribute what you can. Visit http://www.DAFR.org/donate RIGHT NOW! PLEASE share this on your wall and with all your friends! Thank you! Remember we are doing this FOR EVERYONE! Law makers can only create laws within the confines of the constitution. Lawsuits have already been submitted and once we have a Governor that abides by the Comstitution it will be restored. Clearly the 2nd amendment and the bill of rights are being violated. Connecticut, the birthplace of Obama’s(current) Social Security Number, is a Liberal cesspool. Since when do laws matter to them? Gun control in 1968 was mainly about keeping pissed of blacks in the south unarmed. Way to go DNC.